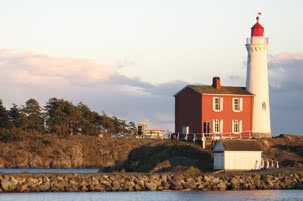 Fisherman’s Wharf is an excellent place for both visitors and people who are living in Victoria to check out. 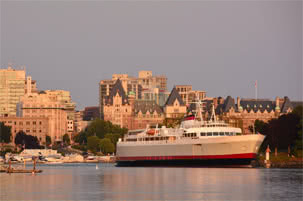 Located just around the corner from the inner harbour, you can get there from St. Lawrence Street or Dallas Road. This multipurpose facility has berths for floating homes, pleasure vessels and commercial fishing boats and is home to a variety of small businesses. The area has, as do most waterside locations, a long and colourful history. 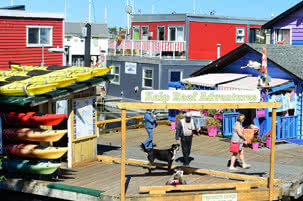 Previously a shipyard, it was reborn as Fisherman’s Wharf in the late 1940’s, serving as home to a large fishing fleet. Over time, the fishing fleet has diminished and the number of floating homes, live-aboard vessels and commercial ventures has grown. Just across from the wharf you’ll find Fisherman’s Wharf Park, a great place to let the children burn off some steam before heading down to the docks. Check out the new rain garden, designed to manage and reduce the flow from storm drains into the ocean in an aesthetically pleasing manner. The largest rain garden in Victoria, it intercepts two storm drains collecting runoff from 14,250 square metres of hard surfaces in the James Bay neighbourhood. Dockside, you can stroll and admire the nautical scenery, buy some fresh fish and seafood and enjoy a delicious meal at one of the restaurants. If you’re looking for excitement you can organize a whale watching tour, kayak tour or pirate adventure! Fisherman’s Wharf in Victoria BC is certainly worth checking out and maybe, if you are living in Victoria it will become a regular stop on your weekly shop – there’s no better place to buy fresh fish than Fisherman’s Wharf!